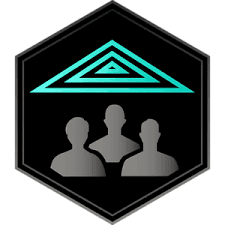 Got my 1,000,000 MU (mind unit) Illuminator badge tonight throwing layered fields in the hood. I think I'm at around 650 days of playing Ingress so far. I'm still not great at fielding, but I've been learning layers. I had dinner with another player last week to talk shop as he was feeling frustrated. And I've been having a good time with my team in Eagan. Fun folks. I used to think we were pretty chatty. We've gotten chattier. More players locally on our team. Definitely made a positive difference.